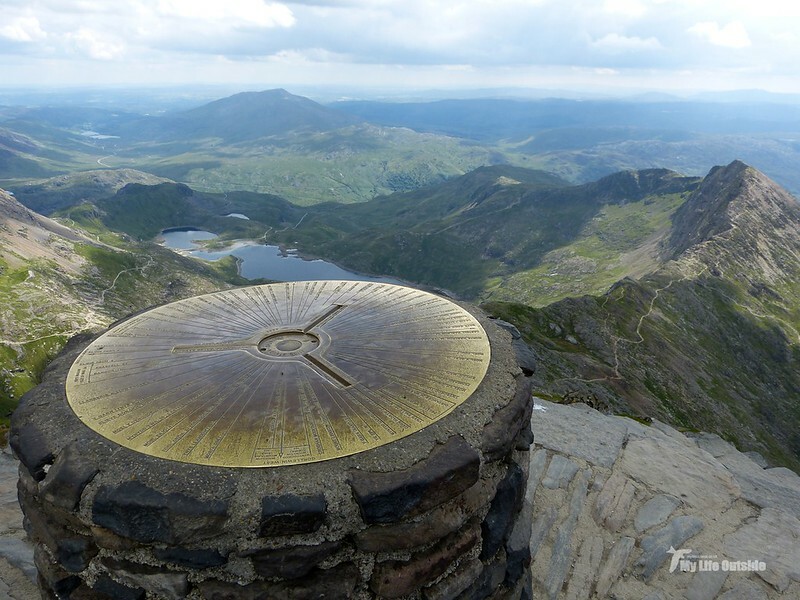 In the next week I reach the grand old age of thirty and for almost that entire span I had never seen the view from Snowdon's summit. It's not far want of trying either as whether it be by train or on foot I've made the pilgrimage skywards on numerous occasions. Each and every time, even when the sun was shining at lower altitudes, those pesky clouds would roll in to envelop that most elusive of peaks. 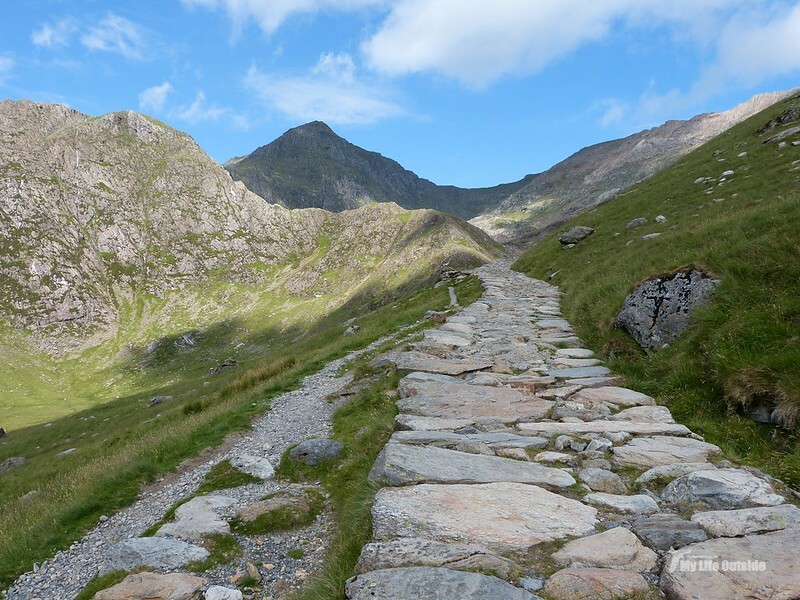 Recent history has failed to change this run of misfortune with our three peaks attempt last year not allowing access onto Snowdon at all due to thunder and lightning. This time however things would be different. The sun was shining, clouds were absent and to my relief the weather held all the way to the top. 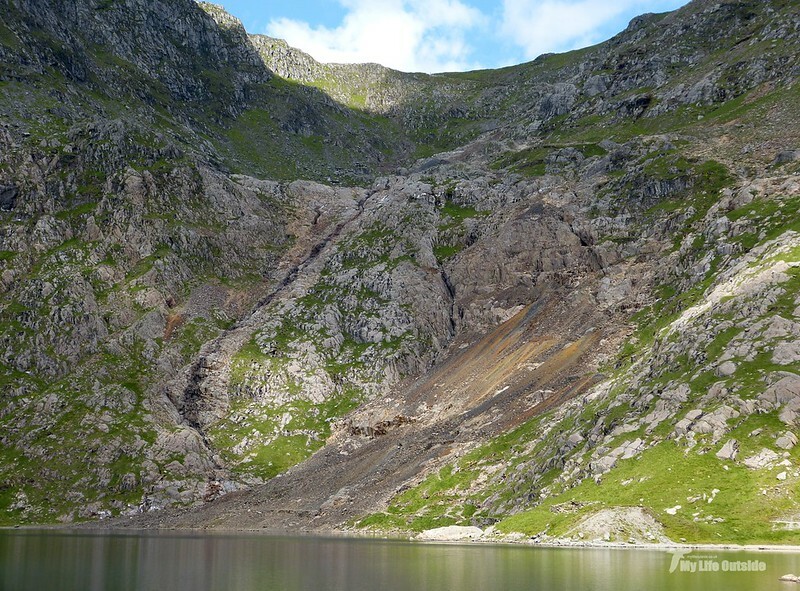 Here's my photographic journey up via the Miners track and back down the Pyg. 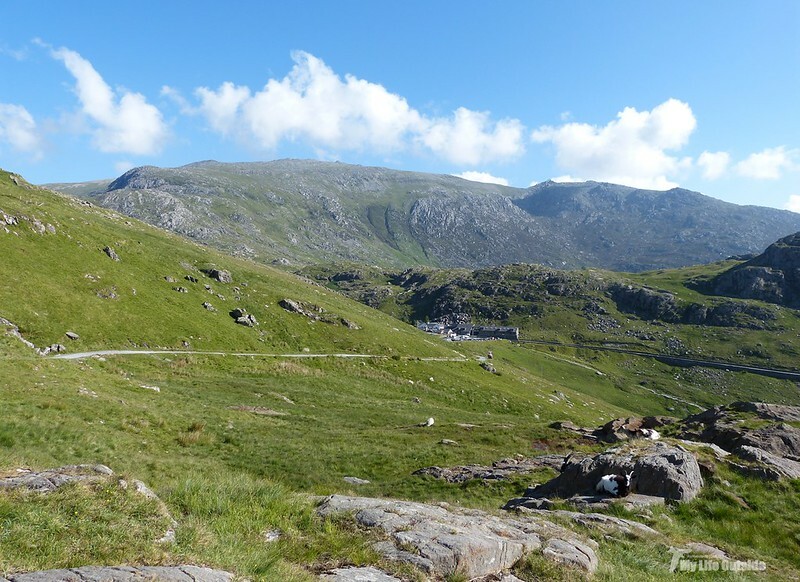 Looking back towards Pen y Pass as we set off along the Miners track. 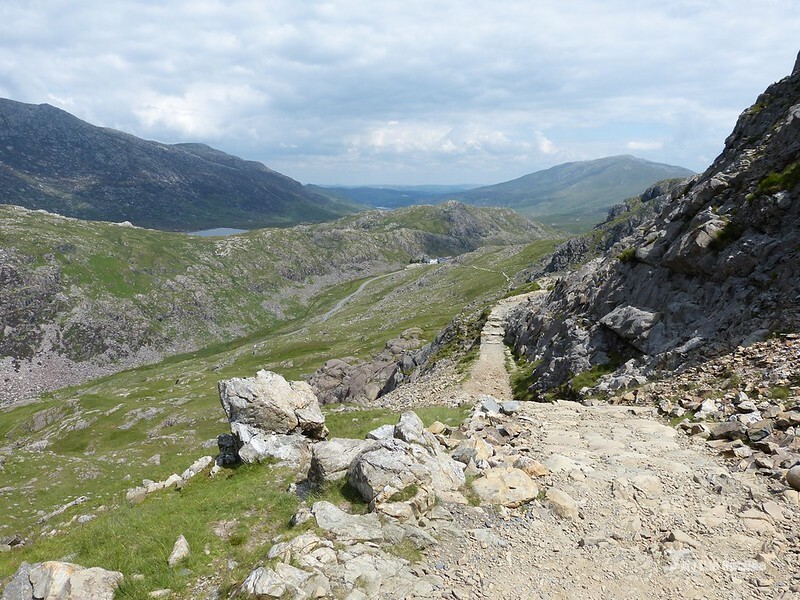 This path is so called as it was originally built to serve the Britannia copper mine of which we will see more a little later. 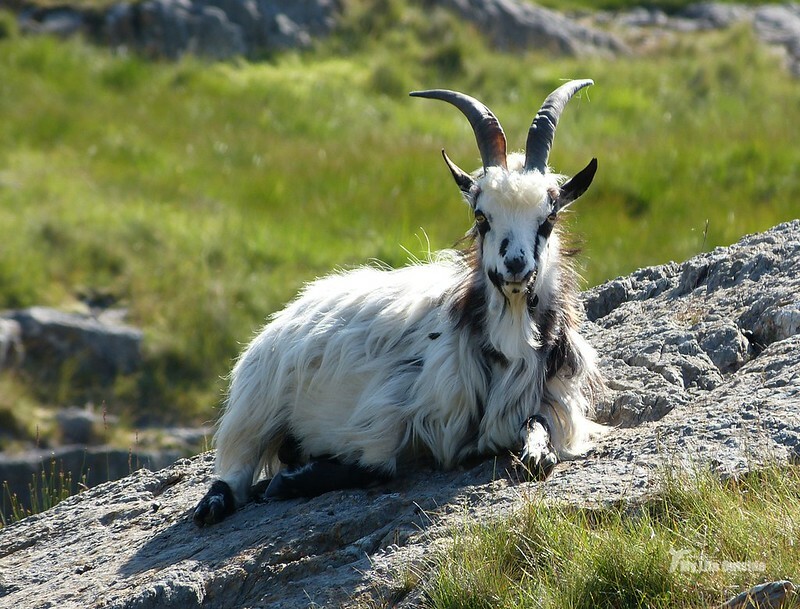 These goats formed a surprise welcome committee and reminded me a lot of their wild relatives around Carsaig on Mull. 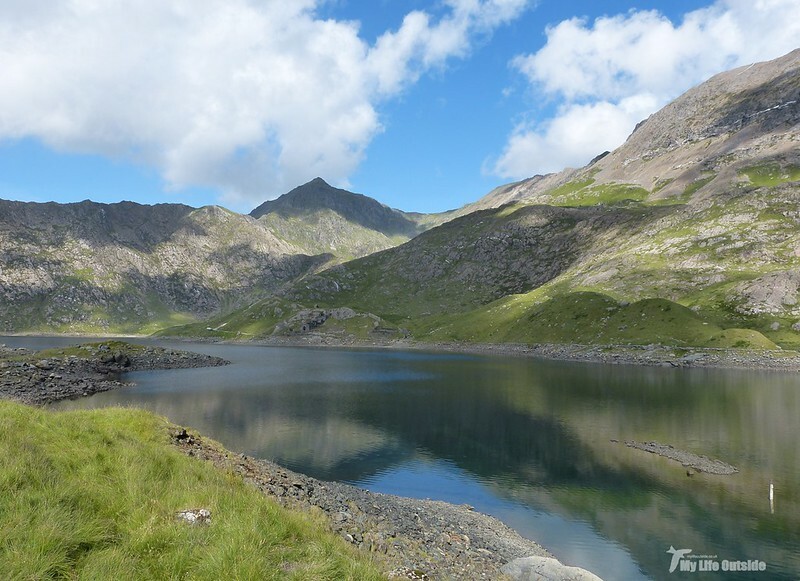 The first significant milestone - Llyn Teyrn. On the right sits a row of abandoned miners cottages with our route stretching away into the distance. At this point the going is easy but that wont last for long. Llyn Llydaw soon hove into view and with it a first glimpse of Snowdon. With little breeze here and rising temperatures those still waters looked very inviting indeed. 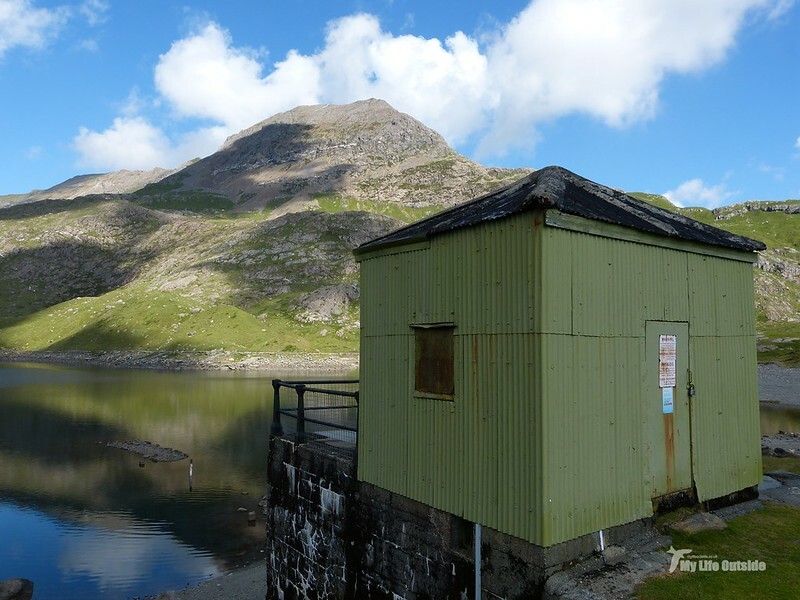 This small metal hut marks the start of a pipeline carrying water down to the Cwm Dyli hydro-electric power station. Though not exactly a natural looking structure it does continue the attempts by man to benefit from the abundant natural resources of this area. 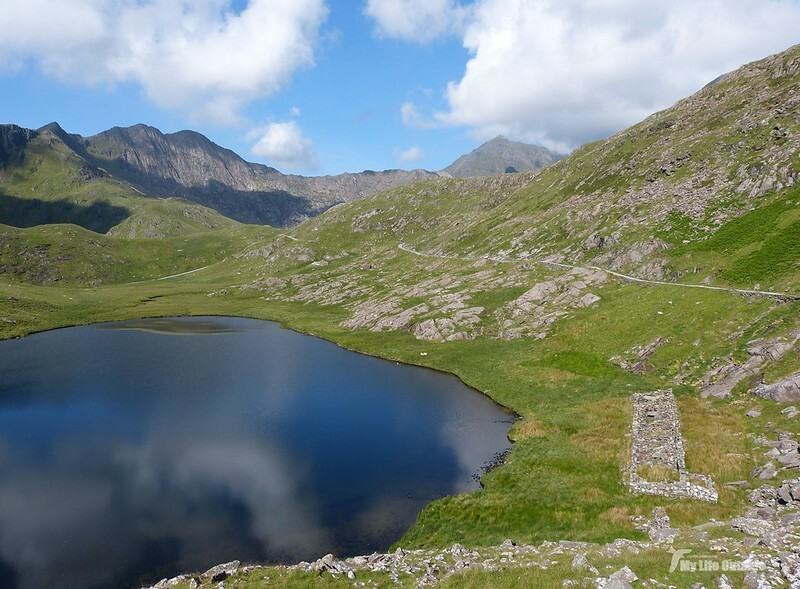 A causeway transports you across the lake to its northern shore where a large ruined building represents the most significant remnants of the Britannia copper mine. 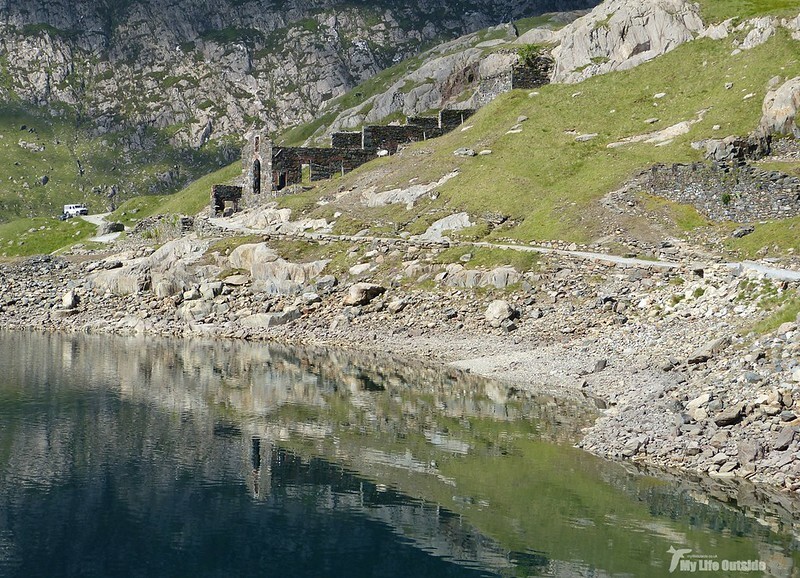 These impressive ruins were once a crushing mill to where copper ore mined higher up the mountain was once brought via aerial ropeway. The stone bases for this innovative transport mechanism can still be seen dotted around. 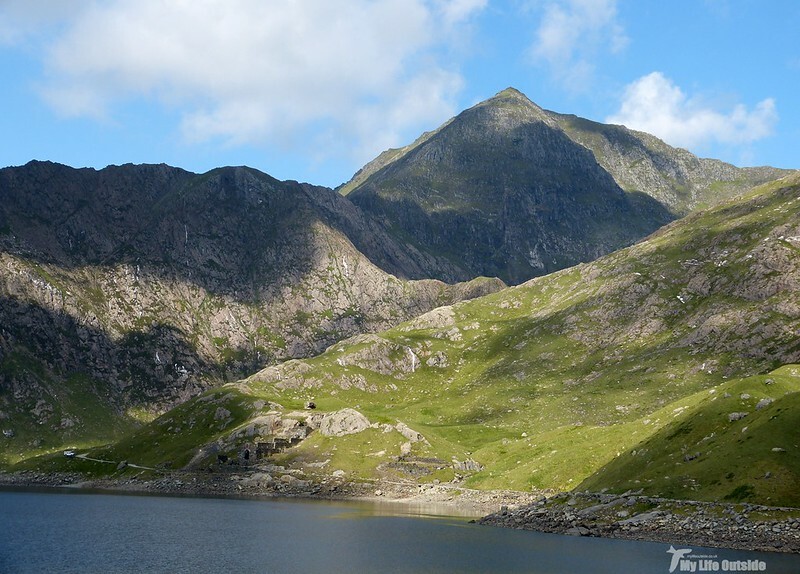 Now the climbing starts in earnest with the ever present peak of Snowdon a constant motivator and reminder of just how far there is yet to go. 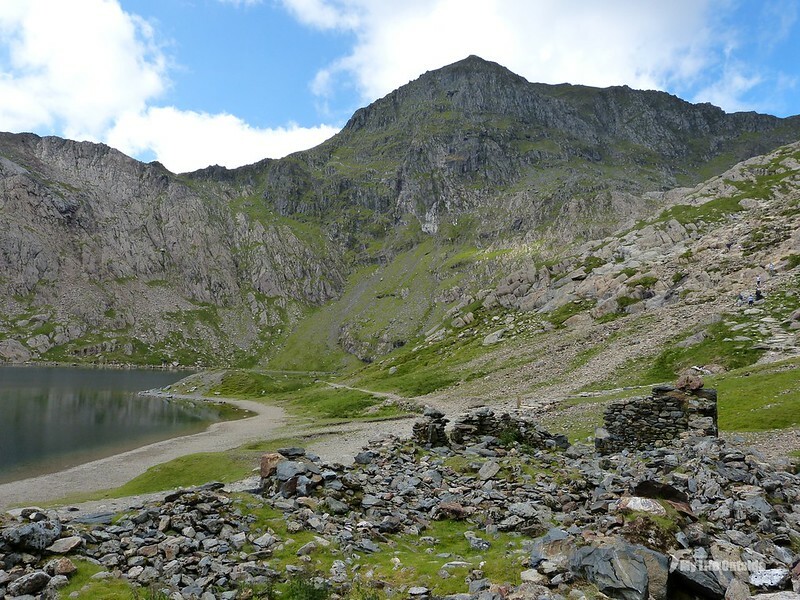 At Llyn Glaslyn the Britannia mine comes into view for the first time. 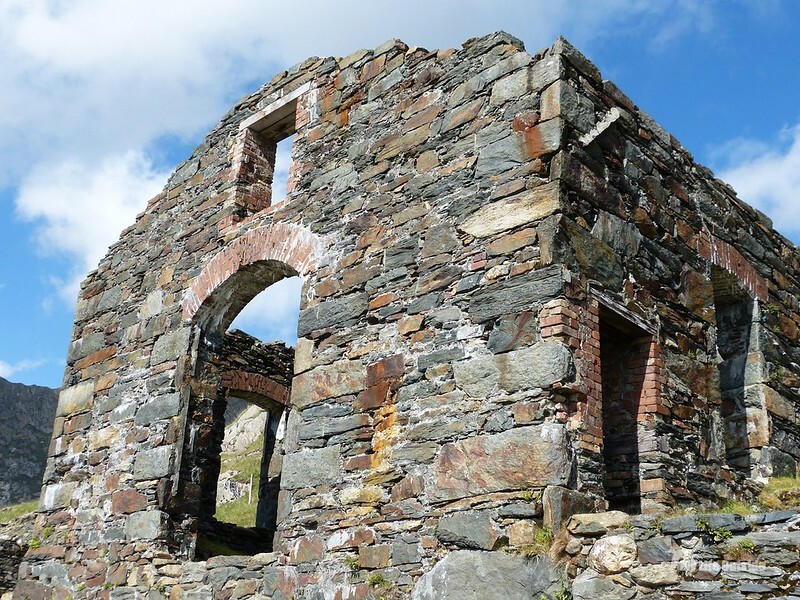 More miners cottages hint at a human story that is easily overlooked. Walking these hills is tough so I can only imagine what working here throughout the year would have been like. 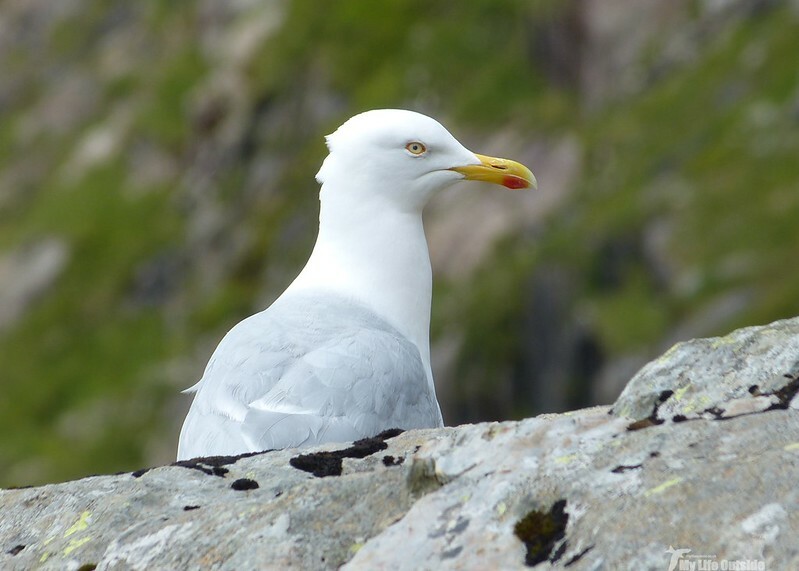 This Herring Gull posed rather nicely and was just one of many that followed us up the mountain. It would seem that they now associate people with food and will follow each and every group awaiting that inevitable snack break. 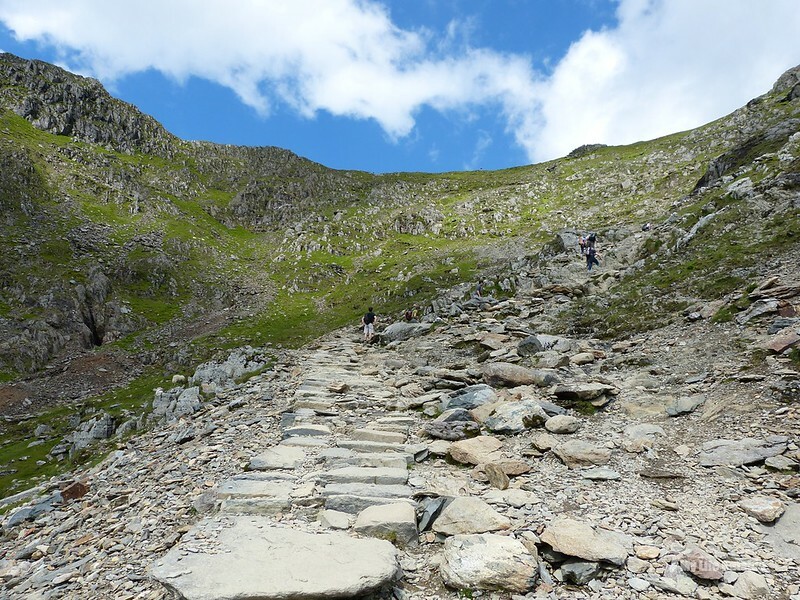 By far the steepest part of the route is this climb to join the Pyg track, a higher and rockier route that we'll travel back along on our return. At the Bwlch Glas standing stone the view back the way we've come is simply stunning with both the Pyg and Miners track showing well. 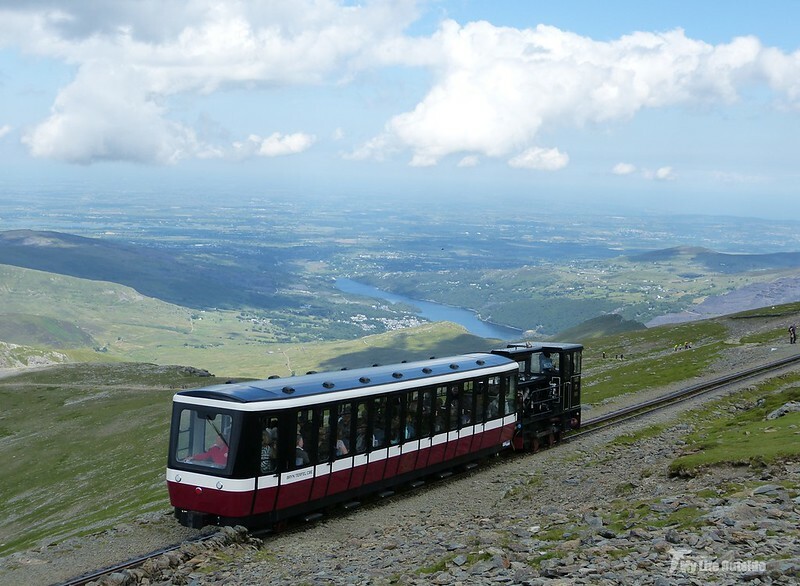 The view westwards is similarly spectacular with the Snowdon Mountain Railway adding another level of interest. 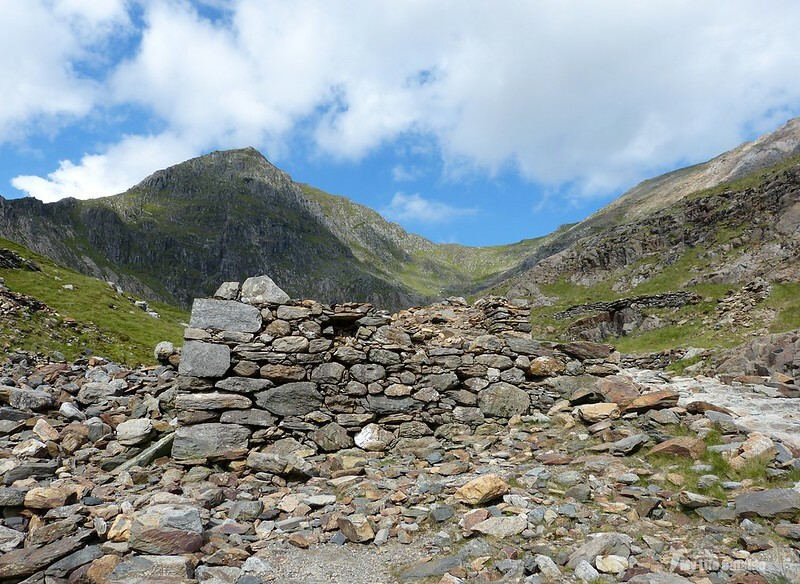 The summit cairn! In the sun! With no people! 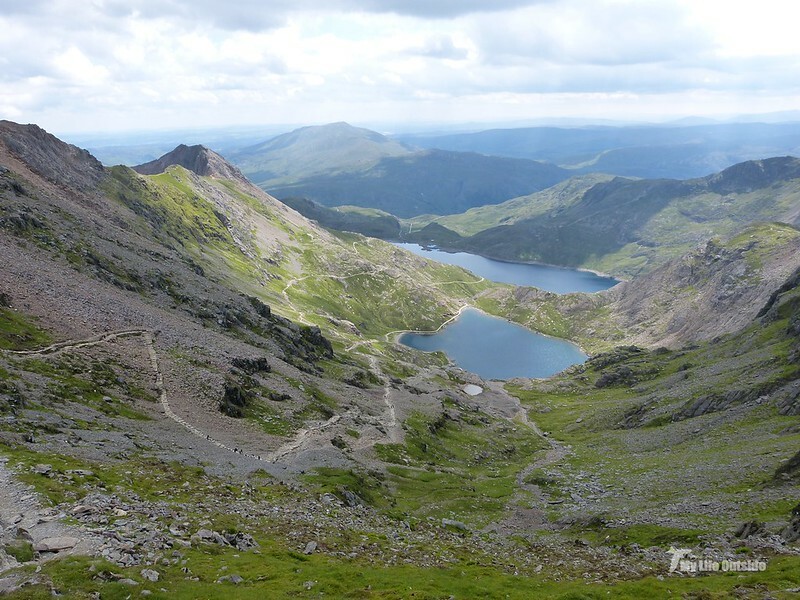 Nearing the end of our descent along the Pyg track with Pen y Pass visible in the distance. On tired legs this seemed to go on forever but what a day. 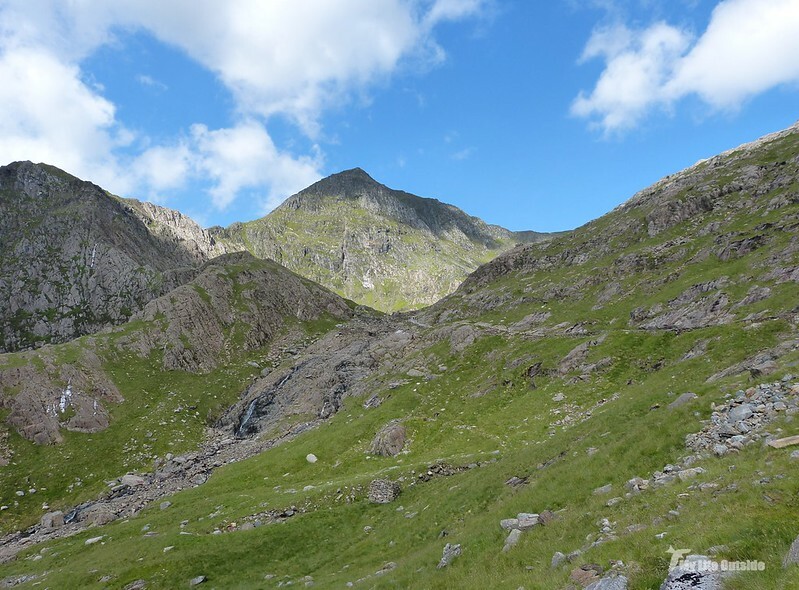 Such perfect conditions allowed us to scope out the route across Crib Goch, a notorious knife-edge route which is famous as much for its stunning views as it is for stomach churning drops. 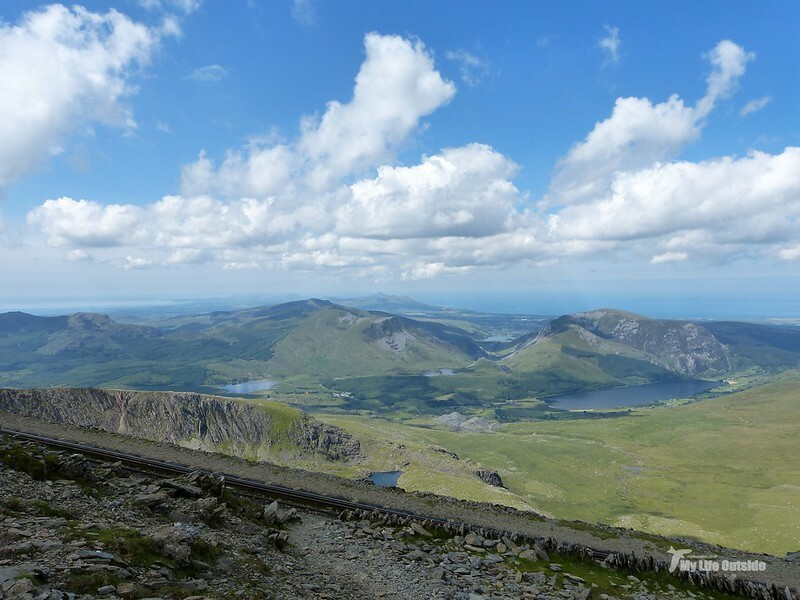 As much as I'd have liked to attempt it this time around it just wasn't sensible but will definitely be on my agenda for our next time in Snowdonia. Those views are out of this world. 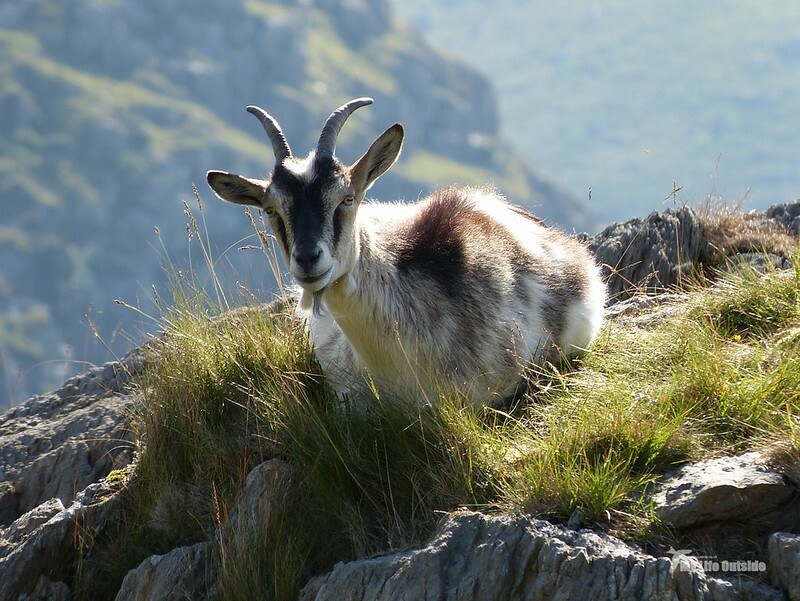 One day I might make the summit. Thanks Keith. Certainly was spectacular up there.